 Missio Seminary is eager to recruit qualified, Christ-centered homestay family partners for our international students. Through this golden opportunity, our international students will have a chance to learn about many American cultural practices by partaking in family traditions. Homestaying will also provide safe learning environments to try out new English words and practice the English language. Living in a family environment can help our international students learn how Americans live out the gospel in their daily lives. Our suggested monthly homestay price, including utilities and internet, is as follows–though you may negotiate it with the individual student(s). Please use the buttons below to download and fill out the application and then submit it via email (and any photos you wish to include). Your listing to be posted on a private page that’s accessible only by Missio students. All arrangements are to be made directly between students and homestay hosts, without the involvement of Missio. NOTE: Homestay listings remain posted to the private page until you contact us to have them removed. All arrangements are to be made directly between students and landlords, without the involvement of Missio. NOTE: Rental listings remain posted to the private page until you contact us to have them removed. Through this golden opportunity, you as an international student, will have a chance to learn about many American cultural practices by partaking in family traditions. Homestaying will also provide safe learning environments to try out new English words or practice English language. Living in a family environment can help you learn how Americans live out the gospel in their daily lives. Our targeted monthly homestaying price, including utilities and internet, is listed above, although you may negotiate it with the host. Please note that access to homestay/rental listings is limited to Missio students with e-campus accounts.